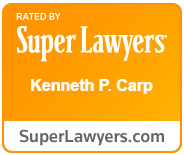 For several months, Kenneth Carp has been acting as trustee in the case of a St. Peters attorney who apparently fled the country, leaving over 50 clients with active cases without a lawyer. That attorney, Jeffrey M. Witt, was arrested by federal agents after arriving at John F. Kennedy International Airport in New York City on a flight from Istanbul, Turkey on March 7th. According to an indictment filed in federal district court, Witt is facing allegations of bank fraud and aggravated identity theft in connection with a scheme in which he fraudulently took out a line of credit against the home of a St. Louis woman. Court documents indicate that Witt and a female client of his who impersonated the homeowner at the loan closing took out a $100,000 line of credit. Upon obtaining the loan, Witt requested a disbursement of $60,000 which he deposited into his firm’s bank account and used the money for his personal expenses. This most recent trouble for Witt comes after a series of legal and disciplinary problems he has been facing in Missouri. According to a report published at Stltoday.com, a complaint against Witt was filed on October 2 of 2013 by the Missouri Chief Disciplinary Council, alleging that he had lied to judges and clients, mishandled funds, failed to file documents, and missed deadlines and hearings. Just two weeks later, Witt was arrested in Clayton under suspicion of driving under the influence of alcohol after hitting another car while parking. Additionally, Witt recently had a nearly 7-figure judgment entered against him by a St. Louis County judge. Shortly after these incidents, a client showed up at Witt’s office after being unable to reach him for several days to find the lights off, the office unlocked, computers on, and files scattered everywhere. 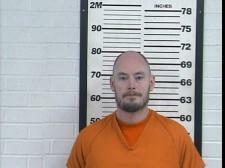 Upon notifying police, authorities found Witt at home. On December 2nd of last year, the Missouri Supreme Court suspended Witt’s law license, citing a determination that there was probable cause to believe that he had committed professional misconduct and that he posed a substantial risk of irreparable harm to the public. Attorney Kenneth Carp has been appointed as trustee to handle matters associated with Witt’s former law practice. To schedule a consultation with Mr. Carp, call our office today at 636-947-3600.